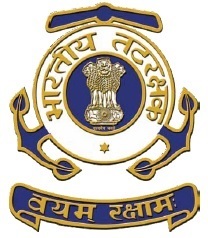 Indian Coast Guard has published recruitment notification for the post of Navik (General Duty) 01/2016 SSC Pass Entry. Eligible candidates can be downloaded form the Indian Coast Guard website http://www.joinindiancoastguard.gov.in/downloads.htmland and filled application be sent by Ordinary Post only on or before last date. Age Limit: 10 years to 22 years. 0 Response to "Indian Coast Guard Recruitment 2015 Navik (General Duty) 10 Pass Job"